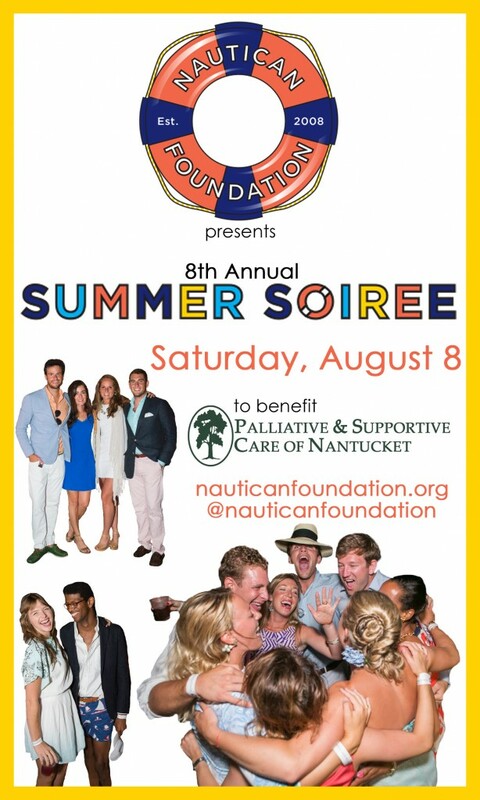 The Nautican Foundation recently announced that the 2015 beneficiary of their Summer Soiree will be Palliative & Supportive Care of Nantucket. Nautican aims to continually motivate new generations of Nantucket Island residents and visitors to be aware of, and supportive of, charitable organizations that benefit the island, its community, and its people. To that end, a different beneficiary is chosen each year for their fabulous fundraiser, the Summer Soiree. This year’s Soiree will be at the Whaling Museum on Saturday, August 8th and will feature Perfect Day Band. Tickets start at $85. This event sells out each year, so we encourage you to buy your tickets early. If you haven’t been, check out pictures from last year’s event. A great night for a great cause!